Something to Muse About: Gift Ideas + Kidrobot Black Friday Extended Through the Weekend! 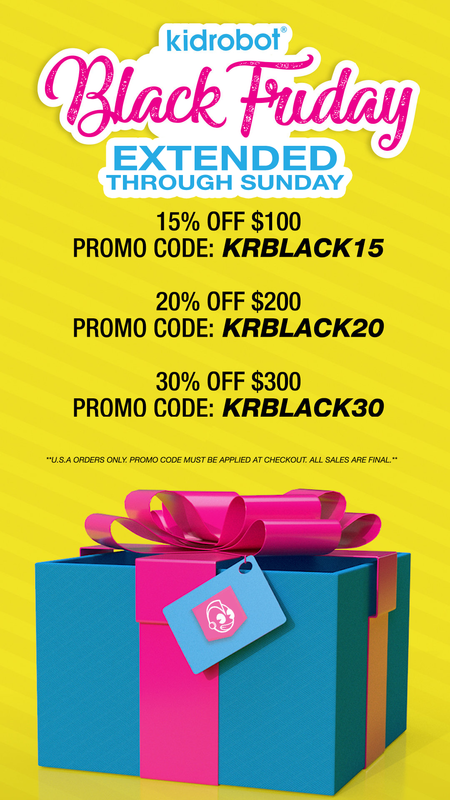 Gift Ideas + Kidrobot Black Friday Extended Through the Weekend! ** USA Orders Only. Offer extended through 11:59pm MST 11/25/2018. Cannot be combined with any other offer. Customer must enter/apply promo code at checkout. Customer must provide accurate billing/shipping info (including unit number) on order. Orders cannot be cancelled, modified, rerouted or expedited. All sales final at Kidrobot.com. Customer agrees to Kidrobot.com terms & conditions, shipping policy and return policy when placing an order on Kidrobot.com. Need Gift Ideas? 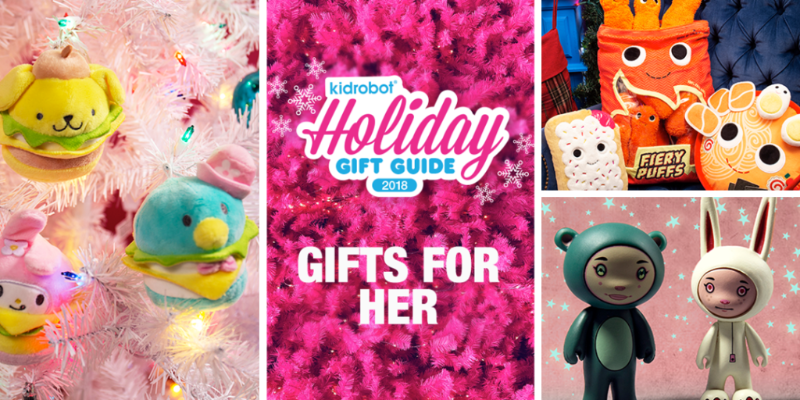 Browse these gift ideas from the Kidrobot Gift Guide 2018. 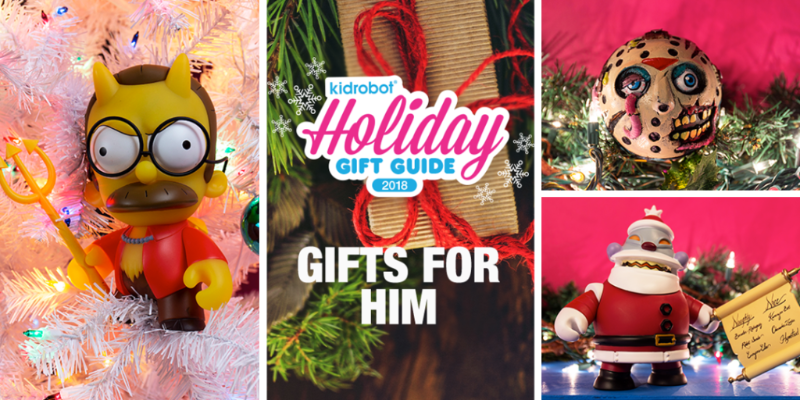 Kidrobot has some fun plans for #KRristmasTime and Cyber Monday that you won't want to miss! Make sure you are not only following Kidrobot on social but also subscribed to receive instant notifications & updates from Kidobot OR you are going to wish you did!